This Friday, Saturday and Sunday June 25-27 my script The Shadow of A Train will be installed at the Totalkunst Gallery in Edinburgh, curated by Mirja Koponen with responses from Sara Sinclair and Stephen Goodall, as part of the Suitcase Series/ Betamaps Festival. 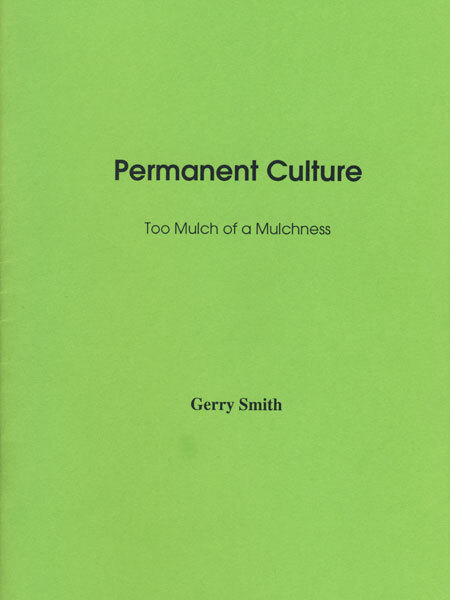 On Friday 25th at 3pm there will be a conversation with the artist Gerry Smith (details here). The project began with two paragraphs by the Russian writer Arkadii Dragomoshchenko, which can be read here. These were made into a script. 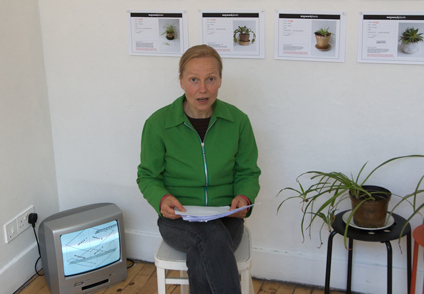 Mirja distributed the script to a group of artists in Edinburgh and elsewhere, and in June they met to discuss the project. 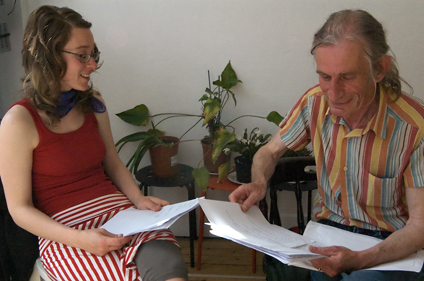 MIRJA: We ( Mirja, Sara, Stephen) got together in the gallery last week to discuss the score. While we had all had different amount of time to engage with the text, we all had somewhat similar responses to the score. We all felt that it drew some kind of faint ring around us, while we could not quite grasp it. It did not yield to us something of itself that was palpable. The words were there, but were not in some sense meaningful, apart from their own very particular ring. We felt we could not iterate what we expected from the text, and how the score was meanwhile replacing these expectations yet with something else. We felt the text(s) were very evocative, physically so almost. None of us had felt compelled to read the score in linear fashion, but had rather worked through it in parts and sessions. 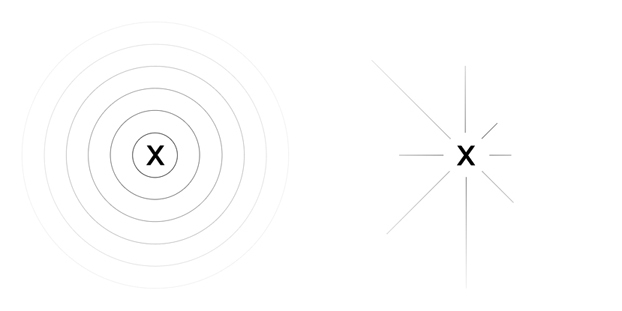 Our thinking had started with what we know – how to think in terms of sensing/translating into visual. This included various visual interpretations of the text itself. Discussing the score together and finding out more about how we collectively had felt about encountering it, we opened the idea of the exhibition not being not so much a visually legible space, but happening(s) in the space during the three days we had set aside to ourselves as ‘the exhibition’. We also discussed the idea of the process of transformation itself being the very subject of the exhibition, i.e. it not showing an exhibition as an ‘outcome’ but rather a solicitation for yet a next stage in the process. We run through the scenarios of working with this idea by inviting the audience to participate in some situation we would set up. We then veered towards a different kind of suggestive approach. There is an archipelago of texts set up by the score, and they all need a certain amount of adjusting from the reader, as they rub against each other during a reading. We thought to attempt three different approaches to the whole process, that would require a similar shift in ‘reading’, three entirely different (visual) syntaxes that would all flow out of the score, but settle on three altogether different planes. So, for the first day we want to provide a direct ‘interpretation’ of the score; a space for medi(t)ation of it. 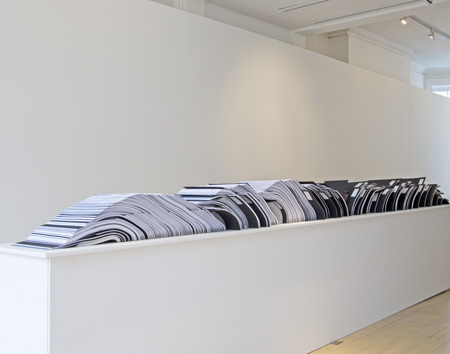 The score itself is provided in an aural form, read by multiple voices, and the viewer in the gallery is invited to experience it directly sitting in a chair while facing the street through a large picture window. The city scene provides an everchanging visual ‘score’ to accompany the aural one, while the viewer is visible through the window onto the street, in turn herself becoming the ‘content’ of the exhibition space. In this case, each experience of the score is an individual’s interpretation. 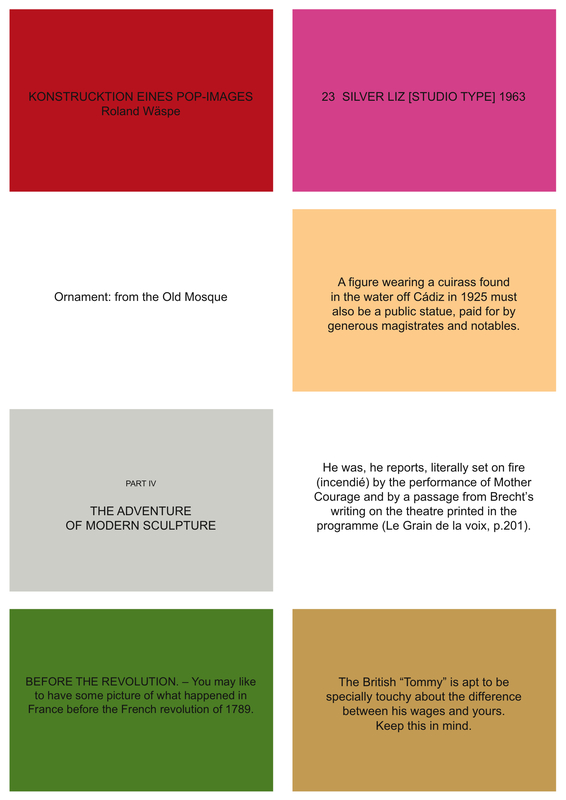 The exhibition is a ‘terminal’ that lets go of the text in order for it to live on in the viewers memories of it. The next day we want to shift the focus on the process of ‘translation’ as the mode of being for the work. We want to exhibit the rest of the various interpretations of the score in short text form, as an exhibition of multiple takes, a collective body of projections each replacing another. We have selected three of these responses that will get ‘imagined/illustrated’ in three ways, once by each of us. We will exhibit these illustrated moquettes alongside the collected textual interpretations of the score, which itself is omitted from the space. This approach produces some new materials and strategies that can be used for further work in various ways. 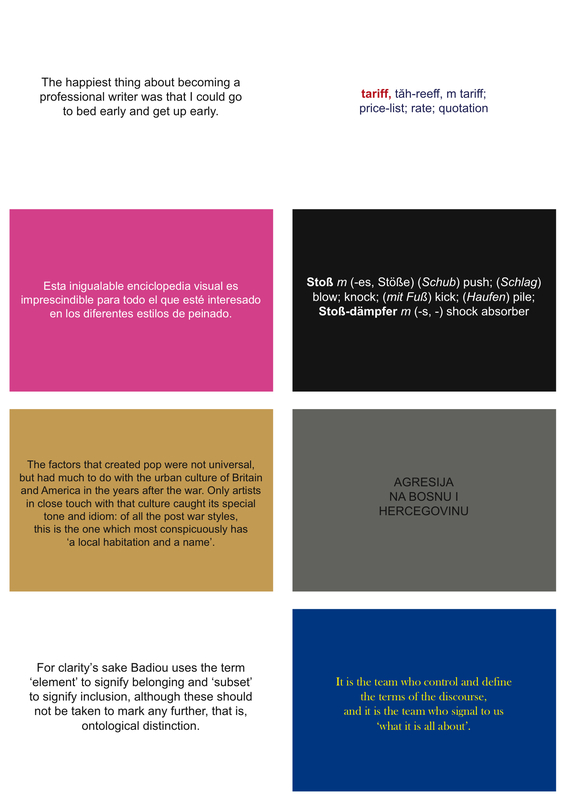 Finally, for the third day, we will perform the text into a (visual) form. We will focus on the refrain ‘black garden’. We will bring with us choice materials including but not limited to text/paper/paint/scissors/books/rock/various forms of ‘black’. We will proceed to grow the garden in situ, in real time, by any means that seem appropriate at that time. We will work as (visual) artists, each according to our own preferences and predilections, while also responding to the situation as a collective whole. Everything will be possible, and everything will be at risk. This approach is entirely outside what can be planned for, and therefore this is all that can be said about it. 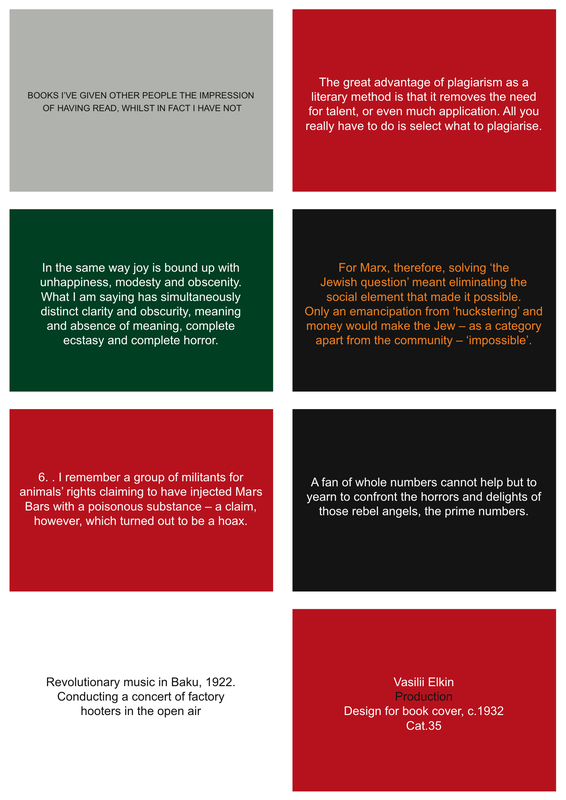 The score of the upcoming exhibition is read in two variants for DISTANCE – from a distance, for creating a distance. The first reading forms a dialogue, the second reading a three voice choreography. Brought into the space: two printed versions of the script, an ‘old one’, and a ‘new one’. Three readers, unknown to each other. The script was read twice, first time between two people, myself and the poet John Mackie. We played the first Dragomoshchenko paragraph with a pre-recorded voice of the writer David Berridge, the author of the script, and then read in turns, sitting on the opposite sides of the room facing each other. I asked John to read until he felt it was enough, then I would pick it up and would on my turn do the same. 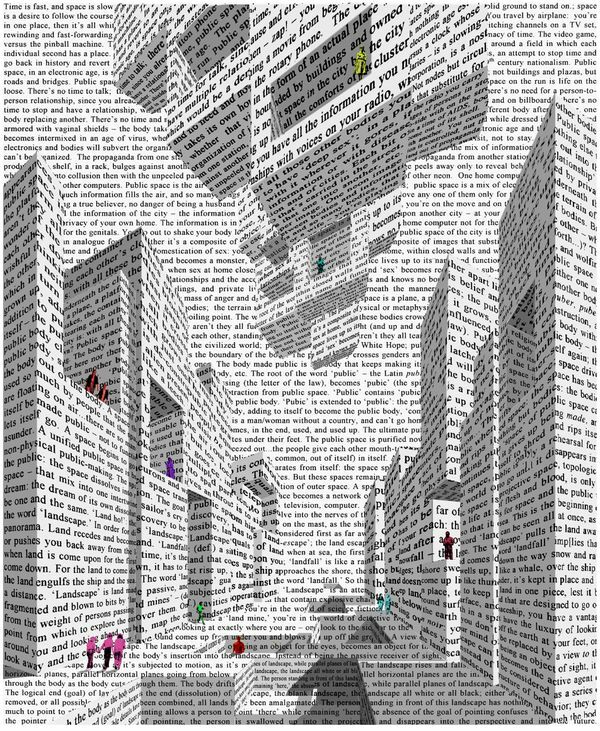 In this way, we would have to feel the text, and also to give in to the rhythm of the reading, our own and the other’s. What emerged, was a dialogue, where we had to subtly negotiate the turn-over point. It felt very personal, yet at the same time we both intuitively worked around the fixed structure of our given text. As the two versions were slightly different, there were also moments when the text read outloud deviated from what the other participant was following on the page, the text buckling off the page, meandering and then returning to what is fixed. These slight vagaries in reading acted like a short recourse of thought into something private – like a momentary lapse in concentration, an intrusion of a memory – or as an erosion, or a brief collapse of the structure of the text. The next reading was between three people, myself, John Mackie and the artist Rocio van Jungenfeldt. John had read the text before, Rocio had not. We would again read according to our own sense, taking turns. This reading formed very differently, not a dialogue but a choreography. As we had only two copies of the text between us, we ended up simply passing them around, working together. We chanced upon a common rhythm that was first tentative, punctuated with pauses as question marks, then increasingly playful, as we began spontaneously to work into the reading layers with multiple voices. John, an experienced reader, easily memorized passages of the text and addressed other readers directly, animating the reading by imbuing his own volition into it – a kind of love affair with the text. This made the focus constantly shift between the world that the words were transporting us into and suspending us in, and the chemistry of the forming relationships between people in very close proximity. All this reading was weaving in and out of the sounds of the street, the café, and John Mackies sound piece playing in the gallery. It’s audio track records the sounds of a sea coast, winds, sea swelling and surging and waves crashing to the shore. The words washed over us similarly, allowing the kind of relaxation of focus that makes you senses clearer and keener. While the feel of the architectonics of the score was never lost during the reading, the contingencies presented by reading in live time with an un-fixed procedure invited us to step into the text and engage with it, visit it while inserting ourselves in it, so shifting our roles from being an observer, or a witness to the text to that of an owner and a maker of it for that short stretch of time. 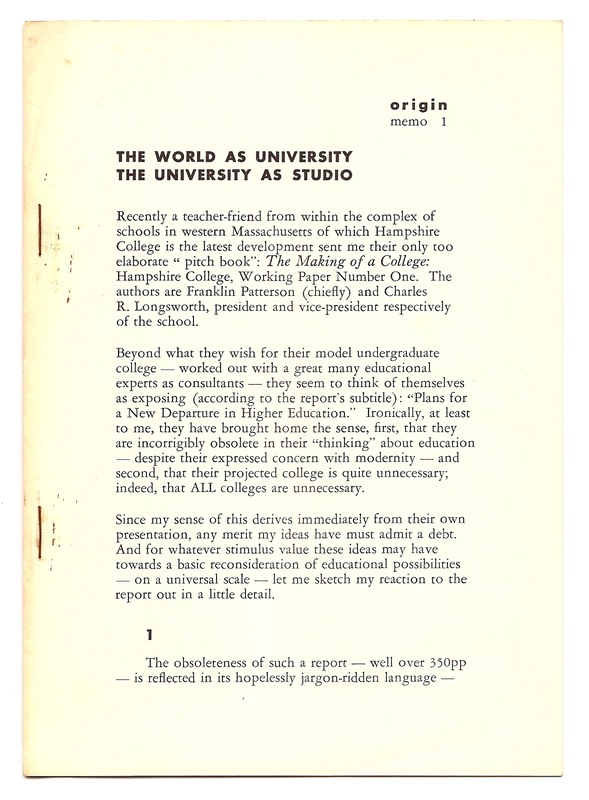 As a contribution to LECTURE HALL.FREE SCHOOL at the Bethnal Green Library, VerySmallKitchen are delighted to make available Cid Corman’s Origin Memo 1 entitled THE WORLD AS UNIVERSITY/ THE UNIVERSITY AS STUDIO, first published in Kyoto, Japan in 1968. VSK’s motivations are both archival and contemporary. Corman’s memo is usefully viewed alongside the more well known poet-educational models of his contemporaries and correspondents, such as Charles Olson’s A Bibliography on America for Ed Dorn, which, whilst functioning at a different level, asserts a related view of self-directed poet-learning as Corman explores here, and a parallel desire to extrapolate a model of learning from a poet’s own methods of writing and community. 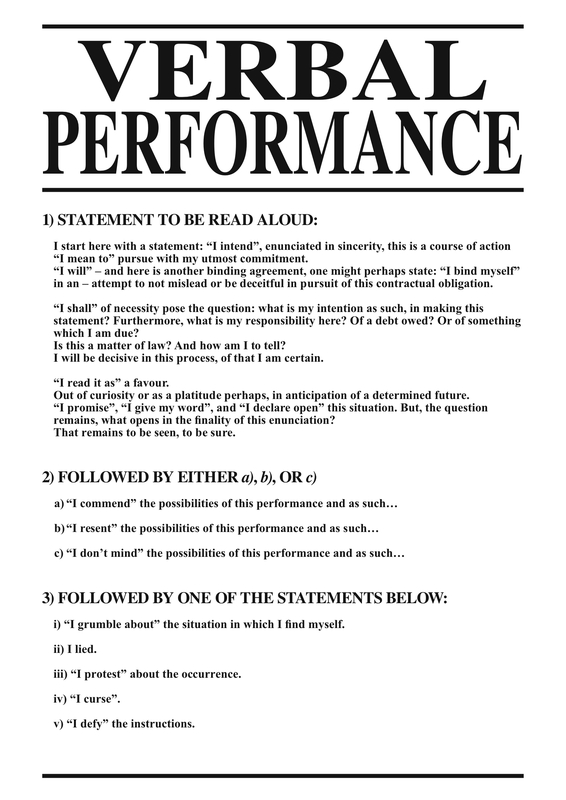 To re-publish this document now – a response to its own concluding invitation that “this article may be reprinted and circulated freely – only, please, indicate source” – is to make a nuanced poet intervention into a plethora of recent pedagogy focussed projects. It’s also to try and learn from both the clarity and the failings and obstinacy of Corman’s approach, tracing into VerySmallKitchen’s own practices the tension between Corman’s macro- ambition and the micro- scale of his own operation and distribution. More specifically, THE WORLD AS UNIVERSITY/ THE UNIVERSITY AS STUDIO enters into the sessions of the LECTURE HALL. FREE SCHOOL project, a problematic contribution to its own ambitions of community, exchange, need and hopefulness. See a bio of Corman here. Poetry readings by Corman here. An interview with Philip Rowland is here. Read Corman’s THE FAMOUS BLUE AEROGRAMMES here. Recently a teacher-friend from within the complex of schools in Western Massachusetts of which Hampshire College is the latest development sent me their only too elaborate “pitch book”: The Making of a College: Hampshire College, Working Paper Number One. The authors are Franklin Patterson (chiefly) and Charles R.Longsworth, president and vice-president respectively of the school. Beyond what they wish for their model undergraduate college – worked out with a great many educational experts as consultants – they seem to think of themselves as exposing (according to the report’s subtitle)” “Plans for a New Departure in Higher Education.” Ironically, at least to me, they have brought home the sense, first, that they are incorrigibly obsolete in their “thinking” about education – despite their expressed concern – with modernity – and second, that their projected college is quite unnecessary; indeed, that ALL colleges are unnecessary. Since my sense of this derives immediately from their own presentation, any merit my ideas have must admit a debt. And for whatever stimulus value these ideas may have towards a basic reconsideration of educational possibilities – on a universal scale – let me sketch my reaction to the report out in a little detail. One of the report’s major points is to suggest the possible intimate role of the college in the community, but again this role is quickly set into an economic scene. And the point turns out to be no more than the “hard fact” that the college could and should be a “successful business enterprise.” My point is not to debate the economic issue, but to get at education and its procedures. They, the authors, never seem to wonder if it might not be better, in every sense, to educate people within their native communities – a need that becomes more obvious if seen in the light (if it is light) of underdeveloped areas of the world – rather than drawing them out (providing scholarships yet at pre-highschool level) into an artificial community. In the same way, they boast of the idea of offering “simulations” of foreign communities in studying foreign languages. It is neither economical nor possible, in “hard fact”, to offer the actual in an admitted substitute of it. And since the actual is available there is no call to resort to subterfuges. An extention of this idea – not to be pushed here – is that scientists in their simulating laboratories also tend to lose their powers of total perception, and proportion, by isolating themselves from actual occasion in all its multiplicity. The intensification of this process must and, of course, does narrow human vision. Any frank reading of this report must, I feel, induce a sense of educational claustrophobia, not perhaps unlike the total-environment company system as it operates here in Japan. Instead of offering and educing a profound and genuine sense of freedom, it offers the simulation of freedom – so that any youngster attending such a school will be beyond knowing what freedom might mean and will be swamped by the contradictions his life after college presents and will either go insane and/or entrench himself in the “set-up”, such as it is. More immediately cogent, perhaps, is the realization that dawned on me in reading this report of how effective our rapidly moving technology allows us to be – not only in the field of education, but everywhere. What is allowed becomes startlingly clear when the report quotes: “The net message, in reply to queries about what education can expect to have from communications technology in the next decade or so, is: ‘Anything you want.’” It also becomes clear the educators really dont know what they want – for after detailing, interestingly, some of what has already been achieved through technology, the authors timidly let the whole possibility drop – as if it would all just take care of itself. My own suggestions of how this situation could be answered – and it certainly needs answering at every level – will follow in due time. The Hampshire authors admit, simply, that they cannot hope to compete with such schools, but see their answer in a pooling of resources within their own five-school orbit: certainly a feeble answer. The answer, it seems to me, to the educational “economy” of the world rests dramatically and decisively with technology and our intelligent use of it. Let me detail some of the issues. In my own experience, and it has been extensive (on several continents), as both student and teacher, I have found myself bedevilled by pointless lecture systems and seminar programs involving students and teachers who should never have been brought together in the first place. (And this has been characteristic everywhere.) Hampshire mentions several tentative freshman seminars tried out at various schools in America, but doesnt get at the more fundamental issue that in any college rig the likelihood of bringing the “right” students to the “right” teacher is most remote. Let me put it another way. As an undergraduate (1941-45) I took many seminar courses in writing poetry (I would have been glad to study day and night and, by myself, effectively did) – more, in fact, than are listed in my college record, for my interest was in the work, not the credit. But in several years of attendance in this course – more selective than most – I was the only serious writer in the groups – not only as it “turned out”, but as was apparent to both the teacher and myself, at least, at the time. And he was “lucky”, if you will, to have had even one (1) such student in a decade. You can say that the others benefitted in marginal ways, but that is beside the point. The point is that every student of his ought to have been and could have been just such a student as myself. But the situation, the set-up, militated against such a possibility. And it still does – everywhere. The utter waste and futility any genuine teacher must feel in such situations – beyond rationalizing them out – are overbearing. And the cases where this is not true must be exceedingly rare today. Perhaps less so in the relatively aristocratic (truly élite) and monastic arrangements in many places in the past – or in their counterparts now. My point, if it isnt already too obvious, is that in this situation ALL the “students” are self-chosen and intensely concerned. And their dedication evokes my own that much more and provides much mutual interplay. It’s true, of course, that I earn no salary for this work – but when one makes love – in any scene – one doesnt expect pay, unless one is a prostitute. And then, just as clearly, it isnt “love”, but business. All this, however, though useful, is preliminary. Where and how does the technology fit in? Perhaps it begins to loom out at you without my saying it: that any college today needs be no more than a transmission center: a studio for communications. (Perhaps research centers could be placed together in such locations, but it may not be either practicable nor necessary: their labors can certainly be drawn upon, as warranted.) And a center for communications storage” “education banks.” All that are needed are technicians and coordinators at such “plants”, The physical layouts of colleges, schools, universities, can be and should be drastically reduced. No students need ever “go to school”: the education can be brought to them, either at home – in an “education room or facility” – or in some local “education center” or centers. The hours could be those of a laundromat or a Hayes Bickford cafeteria. Here each student (no age limits: each aware and limited by his own capacity) is his own grader. He can choose whatever he wishes to try his hand at, his spirit, his intelligence. Public information centers locally (available by phone) could carry listings of what can be had and specialist consultant-contact could be arranged in those cases where individual “conference” might be wanted. Tests – taken at the students convenience and self-graded largely – could be received either by mail or telecommunication. All lectures would be received by either tape or TV (or whatever other devices may come into use). The students – note – would be learning whenever they “felt” like it and within their own communities. (Travel would be encouraged and it would not cut off anyone from pursuing studies at the same time, while providing an active supplement.) It would, no doubt, harass commercial TV, etc., for it would compete vigorously, naturally, with it – but no one would honestly regard this as a negative factor. It would cut down the number of teachers needed drastically and keep only the best teachers (selection would be generous, but mostly “natural”) “in stock”. The teachers would record their lectures at their own convenience and would not have to commute to a school or live in an artificial environment and often far from where they “really” want to be. It would eliminate all the weak souls who retire into teaching and the relative seclusion of a campus. It would mean that anyone ANYWHERE IN THE WORLD could tap in on this resource. Wealth would not be required, nor examinations. One would pay for education as one pays for any utility – in terms of actual service and service charges. It would mean that some lectures would be favorite lectures for generations possibly. It would mean that a specialist in physics could tap in on the key developments almost immediately EVERYWHERE and not be reduced to one, often isolated, point of view. It would mean parent and child could share the same courses: the parent would see and hear what the child is exposed to. It would mean much more time for children to play together outside. (Rainy days, etc., would be ideal study days.) It would enliven intelligence and feeling everywhere. All the artificial and useless pressures of education would be removed. The government itself, or better – international organization, could provide the necessary facilities out of a common tax or simply out of the savings such a presentation naturally creates. Anyone with questions could contact, directly or indirectly, sources where he could get true response and a variety of response. Discussion would be stimulated and enhanced within communities and groups interested in the same range of ideas. Contact could be effected quickly between people in distant regions concerned with similar problems. How much more educated – drawn forth – liberated – would the entire world society be! All that I have imaged here very broadly others can and, I trust, will develop according to their better knowledges. This is only the generative idea. Countless problems are evoked by this new approach, but none of them seems to me anywhere near as terrifying or insoluble as those we are now forcing upon ourselves at a steadily accelerating pace. What I am suggesting neither can wait, nor should wait, upon more “worse”. And then the more fundamental issues of education remain. I refer chiefly to that of a guiding vision. And if I am inclined to feel that this vision is, necessarily, that of poetry, please understand that it is not mere bias but out of a sense of poetry’s larger meaning. For I think of poetry as human being par excellence, as the human sense of all that is found in circumstance met generously, fully, and realized out of the deepest awareness that death subsumes us all. Such a vision begins at home; it cannot wait for “higher education”. For me the higher education starts at birth. Other components of VerySmallKitchen’s DEMOTIC ARCHIVES OF ART WRITING are (1)Thomas A Clark’s THE GALLERY AND THE BOOK which can be seen here, and (2) Richard Foreman’s ONTOLOGICAL HYSTERIC THEATER: A MANIFESTO which can be seen here. EVENT: ART WRITING FIELD STATION at LECTURE HALL. FREE SCHOOL, JUNE 24 2010 10-12AM. This Thursday 24th at 10am at Bethnal Green library, VerySmallKitchen presents the Art Writing Field Station as part of LECTURE HALL. 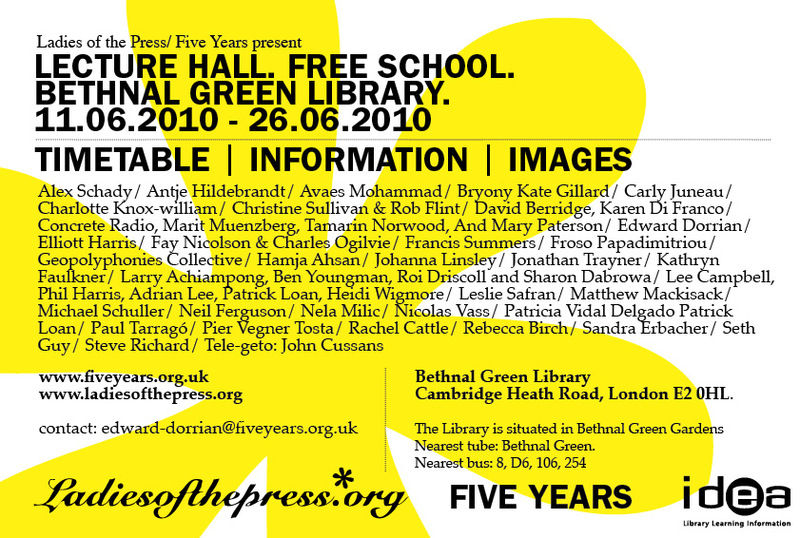 FREE SCHOOL, a festival organised by Edward Dorrian/ Five Years Gallery and The Ladies of the Press. For a full programme of the event see here. Following from YES.YES. I KNOW. FREE SCHOOL. I KNOW (Five Years, 2009) and taking advantage of the free use of the Bethnal Green Library Lecture Hall, Five Years/ Ladies of the Press have called for a wide range of proposals, from fantastical performances to academic papers, to form a programme of events that respond to the idea of the Public Lecture, pedagogic experience and the open/ free educational initiative. This was an open invitation for anyone to propose a participatory activity to be carried out as part of the programme. What constitutes a ‘Public Lecture’ was freely interpreted and defined by participants. Participation was free, and all events are open to the public. Each proposed lecture/ performance/ presentation/ paper should be contained within a two hour time slot. For LECTURE HALL. FREE SCHOOL the ART WRITING FIELD STATION present a series of investigations of the field of art writing as it intersects with the conceptual and practical situation of the THE LECTURE HALL. 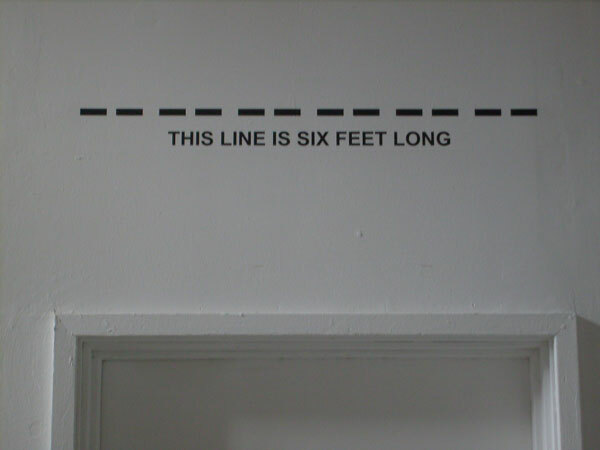 Building on several previous events – including one for Five Years Gallery FIELD RECORDINGS programme in February – this FIELD STATION begins from a presentation of material (by David Berridge) on artists/ writers working in the field of talk, lecture, and conversation. The aim is to present a survey of a field of activity, highlighting its pedagogical possibilities, as well as how it intersects with different architectures of (a) lecture (b) seminar and (c) conversation. The form of this part of the session will explore this in relation to the Bethnal Green library space, and its pedagogical possibilities. This talk will be followed by three other presentations – by Marit Muenzberg, Tamarin Norwood and Mary Paterson – who have each been asked to consciously position themselves within this spectrum of conversation, lecture, and seminar, exploring the possibilities and permeability of each. This structure may determine the nature of the work itself, or it may be something to be considered when presenting work already developed in/ for other contexts. In all instances the intention is to explore the (Bethnal Green library) lecture hall as a place of exchange and communication and how that might effect our individual practices. Because these influences cannot be directly articulated I have asked presenters to consider how their work creates a “poetical zone of thought construction” (Harald Szeemann’s phrase for Kurt Schwitters Merzbau). As well as individual presentations I am interested in a “live writing” that responds to the whole event. For LECTURE HALL. FREE SCHOOL this will be a live FM broadcast by Karen Di Franco’s CONCRETE RADIO project – a highly localised radio station that, during the event, will both transmit presentations/ discussions and introduce its own material into the field station. 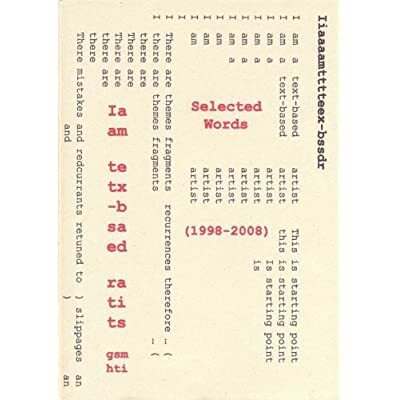 TAMARIN NORWOOD: Tamarin Norwood develops a set of proposals for the present relevance of past performance, considering the scope of conversational implicature in lecture writing and performance writing. MARIT MUENZBERG: An exploration of various connections between different spaces and their temporalities performed in, on and around the dummy book. MARY PATERSON: A presentation which lies between a talk, a discussion and a confessional. The focus is memory and the model is Memory Exchange, a project conceived for Writers’ Tent at Away Day (May 2010). How do memories create the future? When does fiction become imaginary? What do you remember? 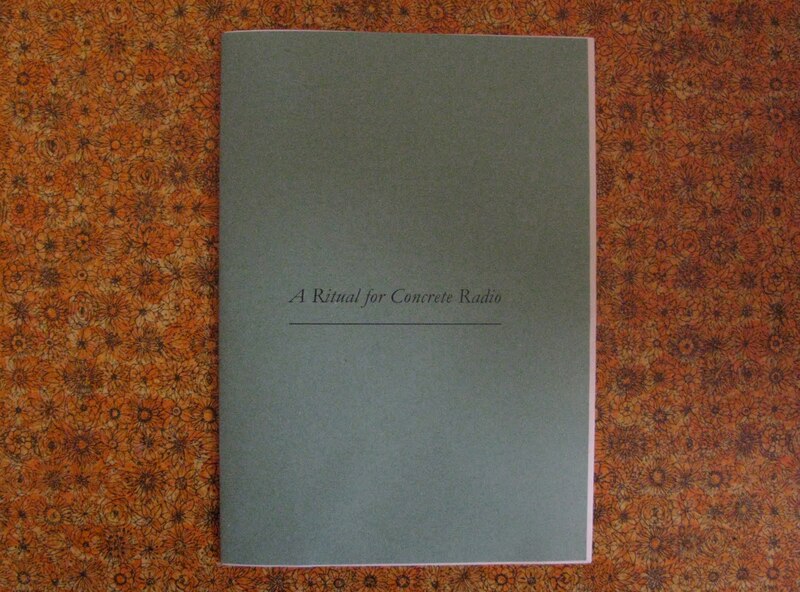 Concrete Radio is an itinerant project that attempts to describe the relationship between producer and originator, by exploring the liminal space of transmitting and receiving. Broadcasting within a highly localised area, Concrete Radio occupies a large space within a short distance, transmitting a programme of found fragments, historical recordings and audio performances. For the Lecture Hall I intend to set up a situation where I am simultaneously receiving and transmitting broadcast material produced by the Art Writing Field Station with additional contextual content produced by Concrete Radio. This broadcast will then be transmitted and received on radios placed in specific areas of the building – visitors are also invited to bring their own. Frequency details will be published on the day. Karen di Franco, A Ritual for Concrete Radio, at The Barber Shop, R. Rosa Araújo 5 Lisboa, Portugal, 29 April 2010. This if the fourth ART WRITING FIELD STATION following on from events in London (Five Years Gallery and Sara Lane Studios) and Leeds (Project Space Leeds). 1. Do not attack it in frenzy. It is a meditative work. 2. Do not expect to be able to ‘figure it out’. If you become acquainted with it, the structure will start to reveal itself. If you have given it a try and then want to know more, all you have to do is ask. 3. Do not look at four or five pages and think you have looked at it. Take a path and follow it through until you have been provided with the opportunity for a break. Then try another path and see where that leads. Continue until you have given it fair shakes. NB. Break points have been provided at short intervals, once you pass the initial pages. 4. Do not skip over all the video links. Look at a few at least. The videos have been deliberately chosen. If a video has become unavailable, then note its ghastly remains and move on. Do not report it as a fault, even if you regard it as such. 5. Do not leap from video to video. Enjoy the videos you can enjoy. You will turn off the ones you find disagreeable. That is good and sensible. 6. Do not not look at the Song. SONG OF THE DATA STREAM is a project by the artist Sarah Jacobs, which can be seen here. 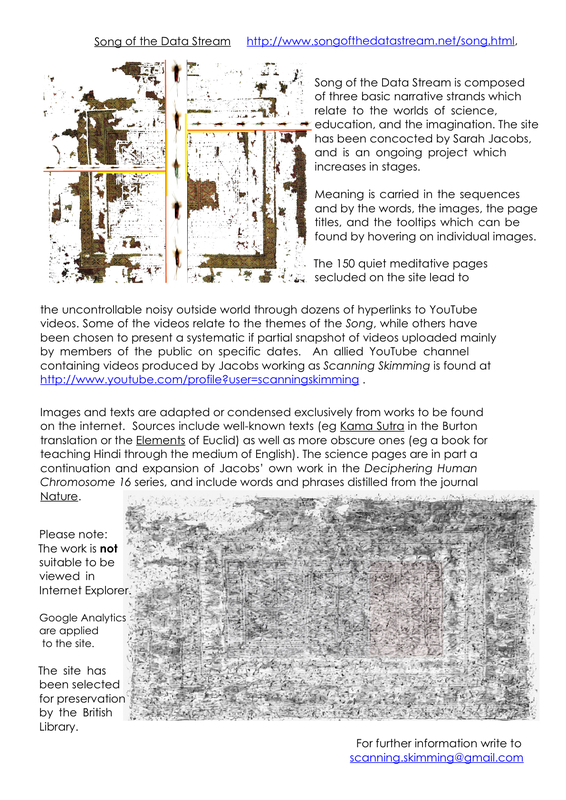 The online version of Sarah’s DECIPHERING THE HUMAN CHROMOSOME 16: WE REPORT HERE can be downloaded here. 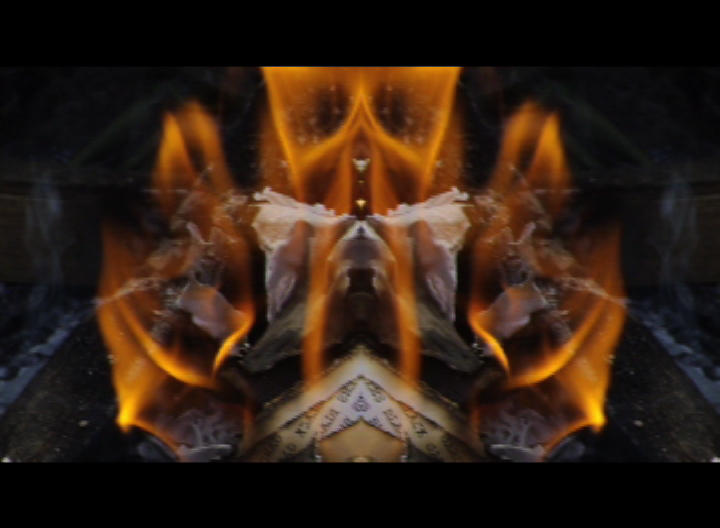 Her artists film IL FAUDRAIT, a meditation on a passage from Le livre des ressemblances 2, by Edmond Jabès, can be viewed here. REORDERING, a section of SONG as an artists project for More Milk Yvette: A Journal of the Broken Screen, can be seen here. SONG OF THE DATA STREAM will be part of VerySmallKitchen’s residency at The Pigeon Wing in September. More news on that to follow. 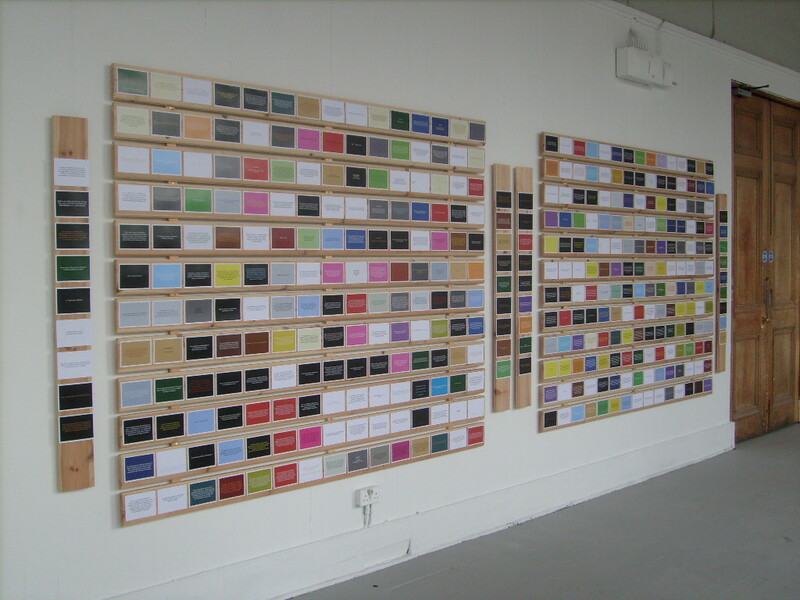 The Universal History III is a “non-self portrait” made up of 396 postcards, each of which has a quotation from one of the non-fiction books in my library. 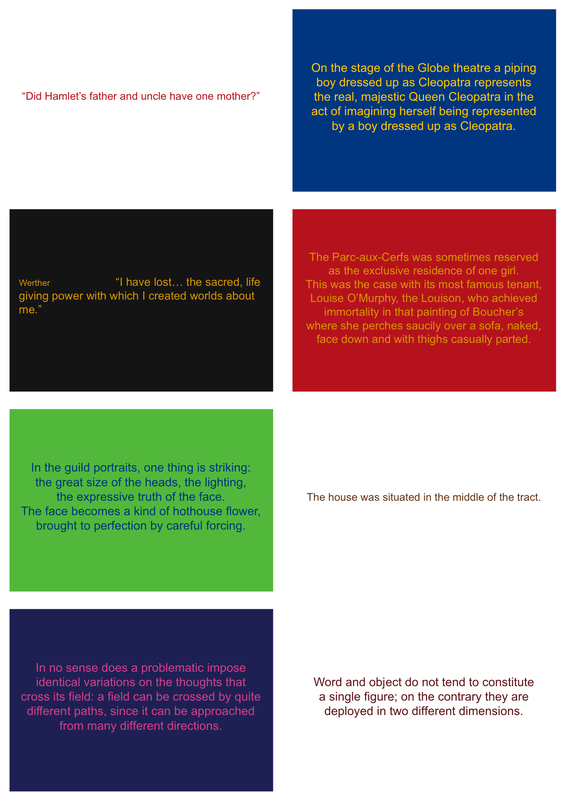 The quotations were selected from pages which were chosen at random, and the intention was to discard the obviously quotable( no spectres haunting Europe here!) The relation between postcard and book is maintained via colour coding, and the work is arranged in alphabetical order by book title. The postcards are displayed on frames which are in effect collapsed bookshelves. Gerry notes that before sending the email containing this text, the spell check picked up that he had written “bookselves” instead of “bookshelves” and that this same pun of shelf/ self appears in his Essential Reading project. 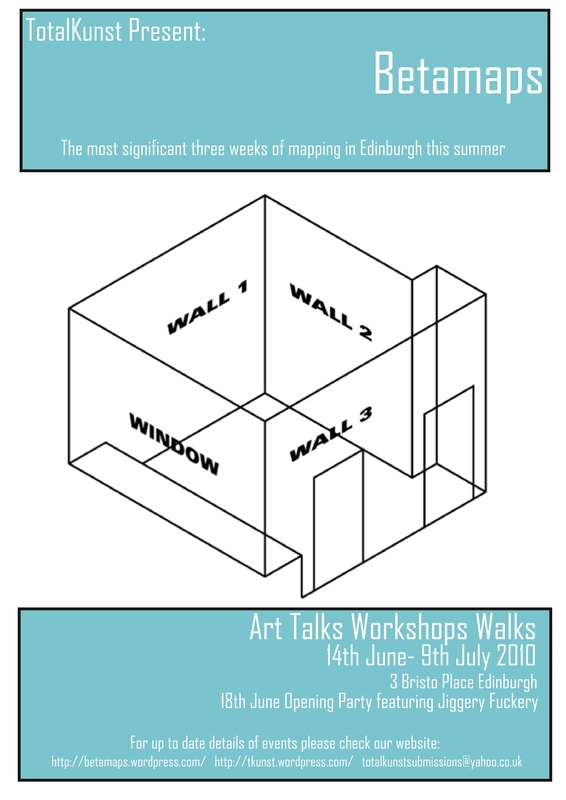 VerySmallKitchen will hold a conversation with Gerry in Edinburgh at the Totakunst Gallery on June 25th at 3pm. More information about that event, and some notes by Gerry on his book works, can be found here. Albena Yaneva, Made by the Office for Metropolitan Architecture: An Ethnography of Design (010 Publishers, Rotterdam, 2009). ISBN 978 90 6450 7144. So for this response-review it seems useful to impose the limitation of not looking back at the book itself, but trying to sketch out some of this both marked and illusive presence it has attained for me. Albena Yaneva has written a participant observer study of the Office for Metropolitan Architecture in the Netherlands. Yaneva observed and interviewed architects in the office, which quickly challenged the dominant ways in which architectural practice is represented: the images of finished buildings; the representations of process around the visions of star names (in this case, Rem Koolhas); an inferred model of creativity in which the star architect’s vision is made into drawings, then models, then built, in a straight forward, linear process. Koolhas himself is relatively absent from Yaneva’s study. His starring role in this narrative of architecture is filled by blue foam. 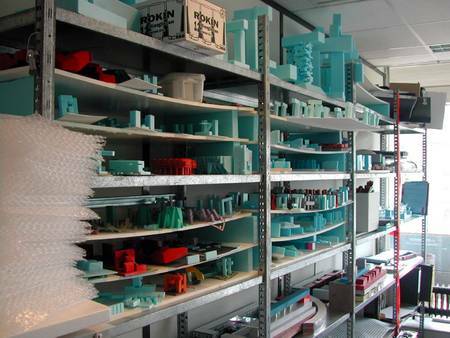 Blue foam is the material that is cut and made into models in the OMA office (see image above). Yaneva cites a Koolhas edict that no pieces of blue foam must ever be thrown away. Yaneva cites the failure of a Koolhas plan to have a no-foam month, because OMA architects can’t think and work without it. Blue foam moves around the office, is moved from office to office, model to model. Old models are taken out and re-worked, re-scaled, applied to new problems and new contexts. What first attracted me to this book was its use of storytelling. Yaneva presents the book as a short story collection. By “story” she means a narrative of blue foam, how it is used (and how its use is talked about) in a particular OMA episode. 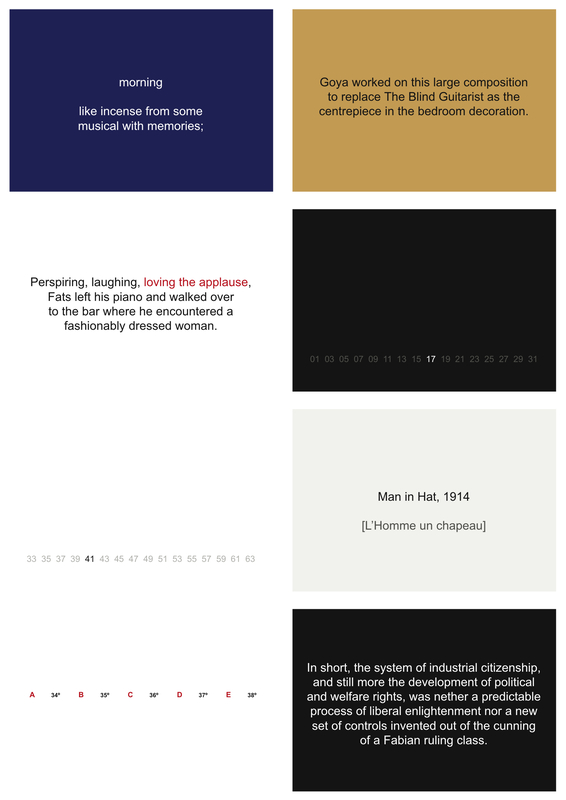 Story as a way of connecting incidents, story as a way of paying attention within trajectories of space and time, story giving form to the uncertain (anti-) narrative of process. Story as commentary in itself. A meeting point of experience and narration, where each can be held in balance. I don’t remember the stories. I’m tempted to look up an example and copy it out here. But first I want to try and sketch out more clearly the way this book has been working for me. This, I think, is principally to do with the sense of process it unfolds ( I know, I know, my engagement of this book is looping, repeating, circling). A sense of emergent practices, emergent from working with material, a non-verbal method in what elsewhere seems a highly articulated OMA practice. A vocabulary for this is tricky. Actually, I don’t think the process Yaneva depicts replaces the notion of architecture as star based and vision-drawing-model-building, but it suggests a possibly infuriating combination of the two, how such ego- strategies are themselves, strategic, improvisational, messy, blue foam-ed…. For a non-architect trying to abstract some lessons from the OMA practice revealed here I think the attraction is about the mixture offered: of improvisation and utility, working on multiple scales (blue foam – China TV HQ or Seattle Public Library), of an image of the shift between studio and world, and an organic, unfolding from project to project, issues arising and problems solved. In some ways, far from removing the myth of architecture, Yaneva reinscribes it on a more pervasive level – its own private world of methods and techniques as well as the public scale world of huge building sites and the buildings and monographs that arise from them…an arcane world of blue foam operations…. All things which I find tantilisingly absorbable into a writing practice, in ways imaginable and impossible. I won’t look up the book. Instead, I’ll end up with some fantasy quotations with writer, X – who really reminds me of myself – on how their writing practice has been transformed by the use of blue foam. VSK: Blue foam. It changed everything, for you. Tell me about that. X: I love blue foam. Poets and Blue foam. Working with it, moving it, seeing it in different parts of the city-stanza. Seeing the text which came from the blue foam on the cutting machine. Before another text, no text, only the rhythm of working, producing, progressing. Blue foam thirst on page and screen. A formality, a certain codification and system, emergent from working with a material. So although it is actually improvised, mute, there is actually a framework in operation, a system of limitations, but its one whose boundaries can only be sensed, existing, once and only, anew each time, in the moment of working. I like to think so anyway. Such foaming amnesia is strategically useful. Blue foam thinking. an inferred model of creativity in which the star architects vision is made into drawings, then models, then built, in a relatively straight forward, linear process. For further thoughts on intersections of poetry and architecture, see POETRY AND ARCHITECTURE, hosted and curated by Tim Peterson at the Bowery Poetry Club, New York City, April 25 2009. Full sound files of presentations by Robert Kocik, Benjamin Aranda and Vito Acconci can be found here. For the full programme of events on the 19th and 20th see here. Tickets are available here. THE SHADOW OF A TRAIN is a script for an exhibition developed from two paragraphs by the Russian writer Arkadii Dragomoshchenko. These will be presented as part of an exhibition at the Totalkunst Gallery in Edinburgh June 25-27, curated by Mirja Koponen. In Edinburgh, the original script has been interpreted by three artists as a series of events and happenings over the three days. For DISTANCE we wanted to explore how distance worked in this project, and how that could be represented to an audience at the Stoke Newington International Airport. 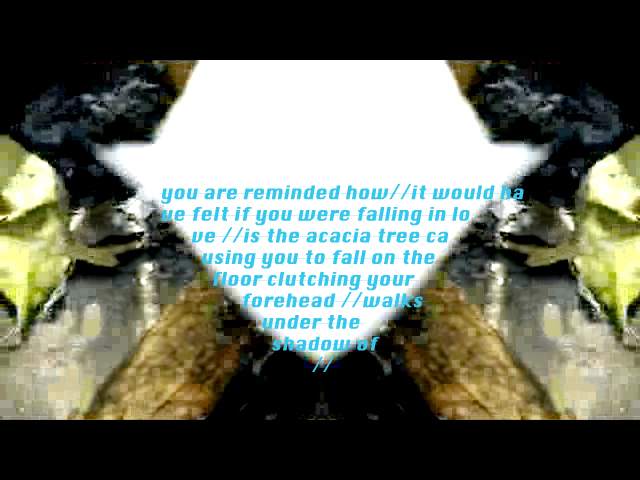 Originally, it seemed like that might involve a live SKPE link between myself in London and Mirja in Edinburgh and/or performance of the original script. But actually, as we explored this further, distance appeared to be not so literal. Relations of distance and proximity, representation and participation, required different solutions. A resting space for distance. Between script and exhibition, word and writer, writer and reader, word and word, London and Edinburgh, David Berridge and Mirja Kopenen. I am re-writing the story of the hedgehog and the fox. I am looking for two contemporary characters. Maybe more. I imagine the passion of the language that is allowed escape from this. The turbulence that cracks open history. The desire that consumes the common places. I imagine the interior urgency that forces the liquidation of an era’s truisms. Literature is the fruit of a displacement of belonging into a belonging that invents its own horizon. I always displace myself starting from the words of my belonging. Evenings, as usual, seemed endless to him. Time passed, even though he never quite understood the meaning of that phrase. Take a couple of objects, for instance: are they immersed in time, or does each one of them actually reflect time? 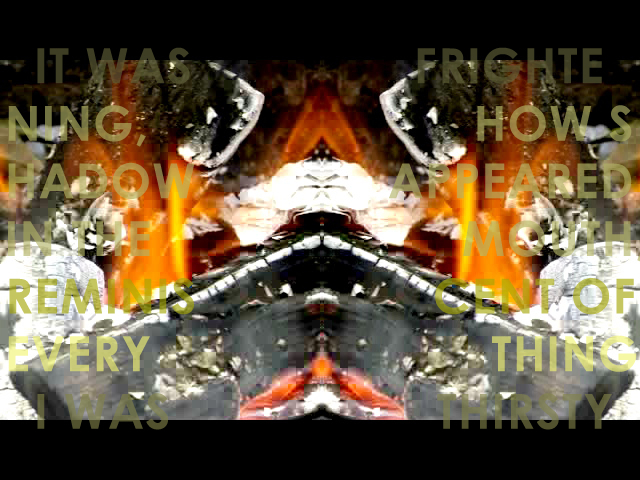 In the first case, the picture is reminiscent of a stream (a ritual scene: obsidian knives, an old cupboard, a rock flying through a web of glass, etc.) filled with stones/objects that form eddies, become compressed: preserved. In the second, everything is much more complicated. I know what tomorrow will bring. This is a story about a man who once got really frightened. He was walking down the street and suddenly felt fear entering into him through his diaphragm, a sensation that reminded him of how he would have felt if he was falling in love. The meaning of the phrase “time passed” was gone, though its “disappearance” was itself beyond his perception. He had started doubting his premises, the numerous shells that were lying around him – particularly their “appearances,” the expansion of their radiant moiré into the air around them. As in Trakl’s black gardens. Before, when he’d repeated some habitual phrase with a carefree regularity, he used to think of something (that now, in retrospect, seems) completely different. We are moving around an axis of assumptions. Gesticulations. The “eternal” turned out to be a single evening, its increasingly tattered threads of light dangling from the corner of his eye, or else a sentence without a subject. A destruction or restoration of balance – nothing more: when a period of non-writing begins, it’s necessarily followed by a period of non-speech, because the intent to create has been deliberately constrained. Past this point we use different systems of measurement to sound reality’s depths, despite the fact that this demarcation is nothing more than an auxiliary device. Length is measured by the speed of a moving shadow. Is seaweed beautiful? A change in a narrative’s temporal modality rids us of our Cartesian arrogance – it’s autumn now, but back then it was spring. Is it possible to say that seaweed is much more beautiful than the dryness in your mouth? She walks under the shadow of a red, brick wall. Warm dust seeps through the cracks; small, dry acacia leaves; the shadow of a train lies behind or on top of all this. 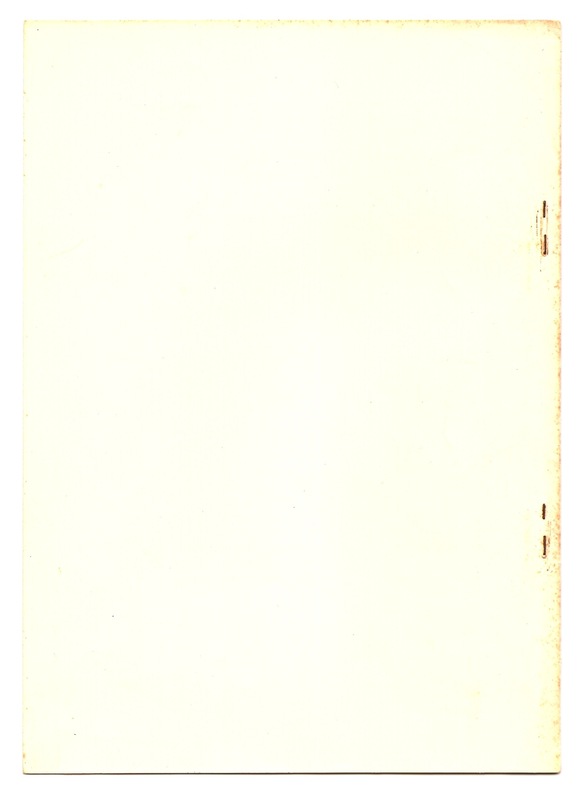 Arkadii Dragomoshchenko, Dust (Dalkey Archive Press, 2008), front cover. More information about the project in Edinburgh will be available here next week. The project at Totalkunst Gallery includes a conversation with Gerry Smith on the 25th June at 3pm. Details of that event are available here. 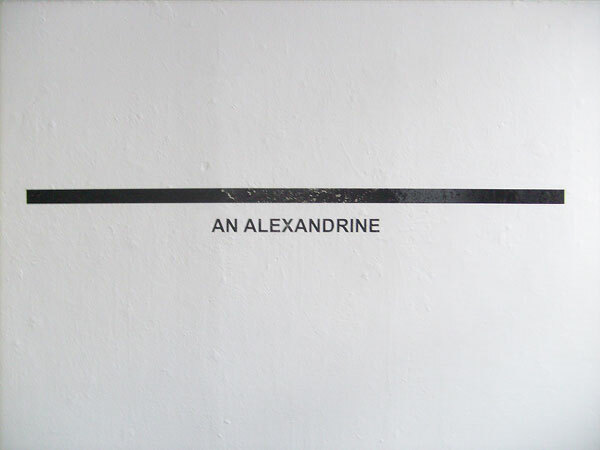 SOURCE TEXTS: Arakadii Dragomoshchenko, DUST (Dalkey Archive Press, 2008); Nicole Brossard, Selections (University of California, Press, 2010), 193. This is the beginning of an outline: explanatory, digressive, problematic, excessive perhaps, but motivated and adhering to a particular logic. There is the question of the sentence, its terms, in essence: what is it to mean? How are we to interpret this passage? From one side to another, broaching a space between? Or transgressing a virginal purity ñ is this a fundamentally assertive act? Is it conceivable to talk of spacing here? Is there an order of magnitude? Something like concentric circles of diminishing efficacy, or perhaps a linear model if direction and effective variation are to be accounted for. What are the points in all of this? Origin and closure, the locus of proliferation and convergence, would be appropriate in some aspects but not all. Would they go far enough to characterise what has occurred? Is this ultimately futile? What has proximity to do with this situation? And what happens if I wasnít listening? If taken in all sincerity, what is the result of a diminished comprehension? Does this performance occur? On what scale or framework of effect could the possible accomplishment of such a performance be measured? Maybe I struggle to read clearly. But would it make any difference? Where exactly might these concerns degenerate to? Working provisionally, as a hesitant conclusion, there appears to be a single point to which we always return ñ or rather a point and a line ñ an anchoring of this gesture and delimiter of enunciation. A point which may be the focus of this questioning, and could also be considered to be the centre from which it originates. That which, in the manner of an analogy, may define or map what has occurred, in one sense a definitive split and at the same time a holding-together. Joe’s VERBAL PERFORMANCE (above) was published as THE WANDLE PARK BROADSIDE as part of THE WRITER’S HOUSE at AWAY DAY. It is available as an A3 for PDF download here.